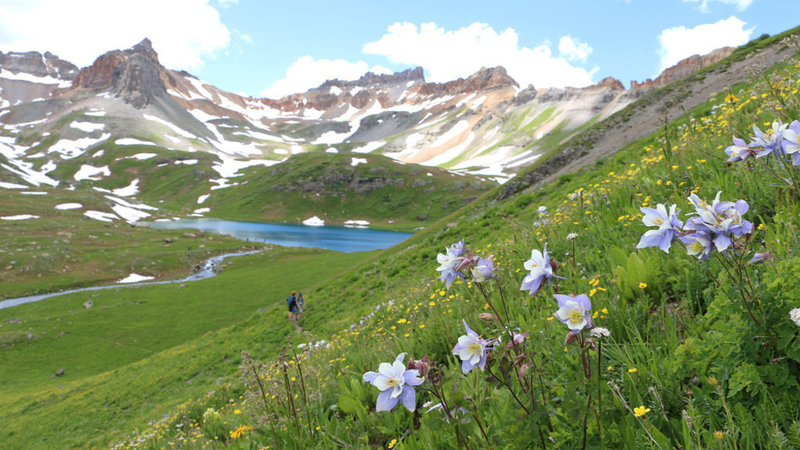 This popular seven mile out-and-back accessed from the quaint town of Silverton is mountain running at its finest. Sapphire lakes flanked by towering peaks, mountain tundra blanketed with wildflowers and waterfalls adorning the trail all add up to a run you will remember for the rest of your life. This popular seven mile out-and-back accessed from the quaint town of Silverton is mountain running at its finest. Sapphire lakes flanked by towering peaks, mountain tundra blanketed with wildflowers, and waterfalls adorning the trail all add up to a run you will remember for the rest of your life. The sheer beauty of this run is unbeatable. The trail wastes no time in ascending, but the initial climb is bejeweled with waterfalls pouring from the depths of unseen alpine lakes. An amalgam of wildflowers appear in every direction, an arrangement that would make a florist jealous—with cow parsnips, chiming bells, larkspur, aspen daisies and columbine going off like fireworks. 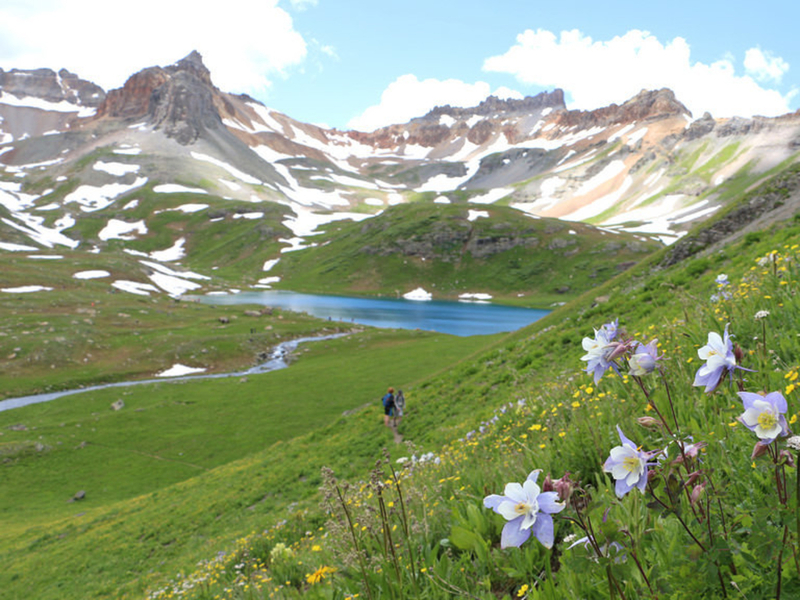 All the hard climbing is rewarded once reaching the alpine tundra, where clear blue lakes at both the upper and lower basins sit at the base of dramatic San Juan Peaks. It’s a sight so beautiful that it will make a weary runner weep—or at least shed their skivvies and jump into the icy waters in celebration. Runners looking to quickly gain vertical will love this trail, which starts at 9,840’ and rockets up to 12,270’ at the shimmering shores of Ice Lake in just 3.5 miles. Mountain enthusiasts eager to uncover a less trammeled path will find many options to choose from that spur directly off the main trail—including side trips to the majestic Island and Fuller Lakes. 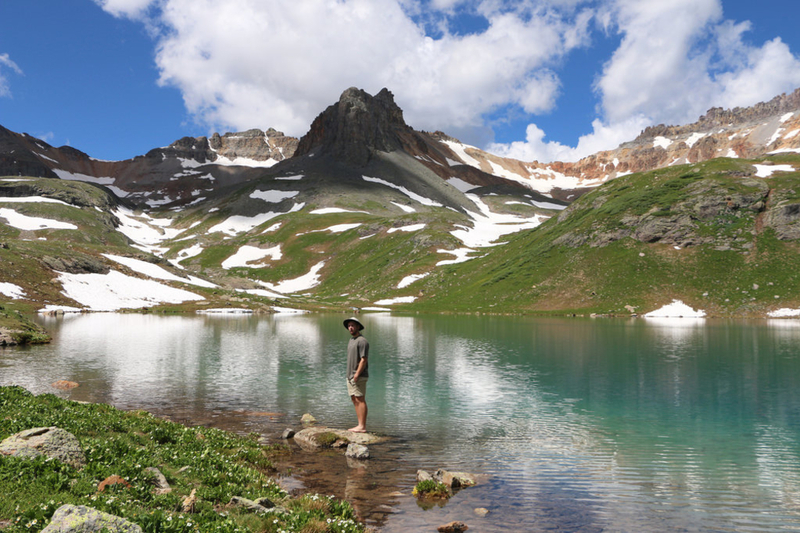 Many outdoorsmen agree that Ice Lake Basin is their favorite trail run in all of Colorado, and this is truly a must-do trek for any alpine inamorata. Getting To the Trailhead: Take US 550 North for forty miles from Downtown to Durango over Molas Pass to the town of Silverton. Fill your tank before leaving Durango, as gas becomes increasingly more expensive the further up 550 that you travel. Once reaching Silverton, continue on the highway for two additional miles, then take a left onto the road toward South Mineral Campground. Follow this well-maintained dirt road for 4.5 miles to the trailhead and parking area on the right (across from the campground). The trail: The trail switchbacks for a few miles up toward Ice Lake Basin where it eventually levels out. Follow the main trail the entire way, but look for a small cairn on the right upon reaching the basin—this unmaintained trail climbs to the magnificent Island Lake, and is a great option for runners looking to get off the beaten path. Follow the trail a few more miles before reaching the shores of Upper Ice Lake. (Lower Ice Lake is south of the trail). The knowledgeable staff at the San Juan Mountain Association are an invaluable local resource for snowpack and mountain travel inquires: http://www.sjma.org/ or call (970) 385-1210 . If you are planning on venturing into Ice Lake Basin, it is recommended you call these folks to learn of the ever-changing hazards that exist in the San Juan alpine.